Companies spend about $2.54 billion on sales training in 2017, up nearly $1 billion since 2010. Yet many sales leaders report low ROIs from sales training initiatives. 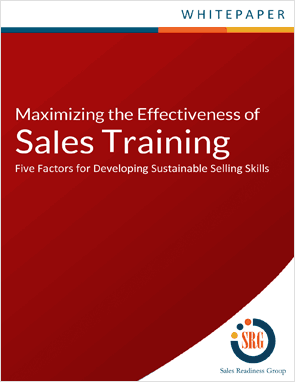 Read this complimentary white paper and learn the five essential factors that will help you achieve sustainable success from your sales training programs.